Today, I am here with Product Inspiration. 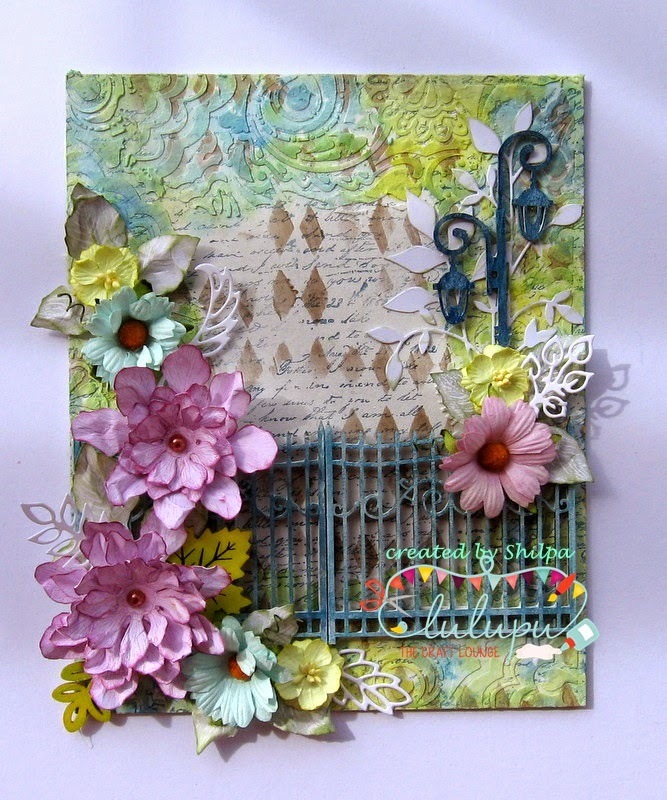 I have created a Mixed Media Canvas with New Prima Chalk Edgers (CE). 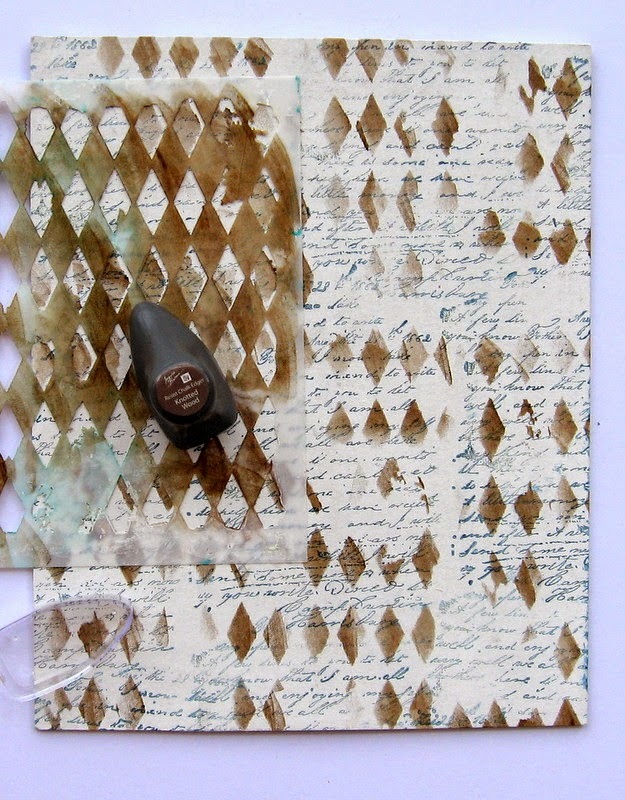 Let see the pictorial tutorial of my Mixed Media..
My chipboard base and embellishments are pre- gessoed. With Harlequin stencil and Knotted Wood CE I created one layer. Next layer is added with Wendy's Embossing paste and Rhapsody stencil. I got 3-4 colors on the Acrylic block from Blue and Green CE. With my water brush I picked up the colors and applied on textured area. Next step is to make embellishments. 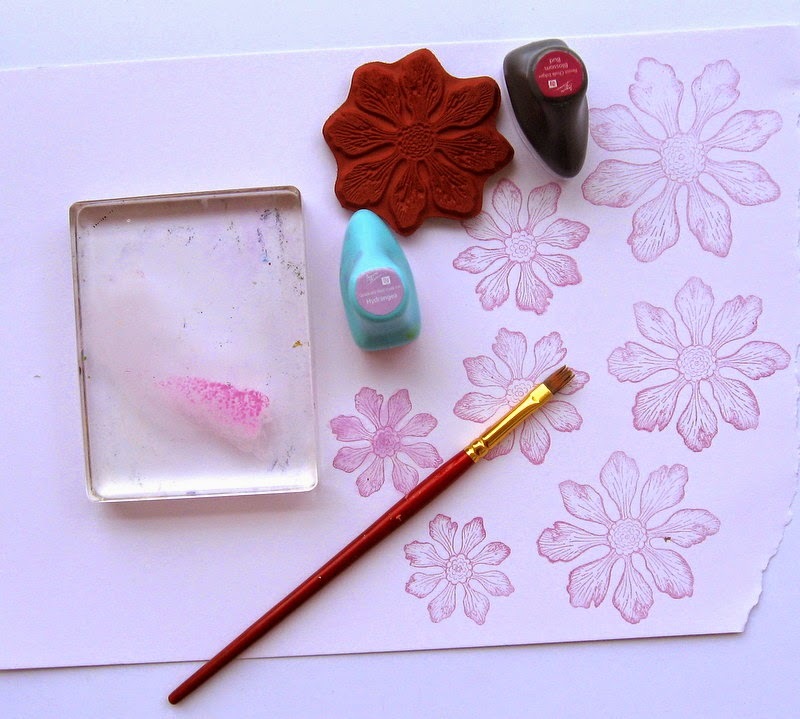 I stamped the flowers with 'Blossom Bud' Resist CE and colored them with 'Hydrangea ' CE and water. I fuzzy cut them, layered and distressed at the edges. With same method I made my leaves. 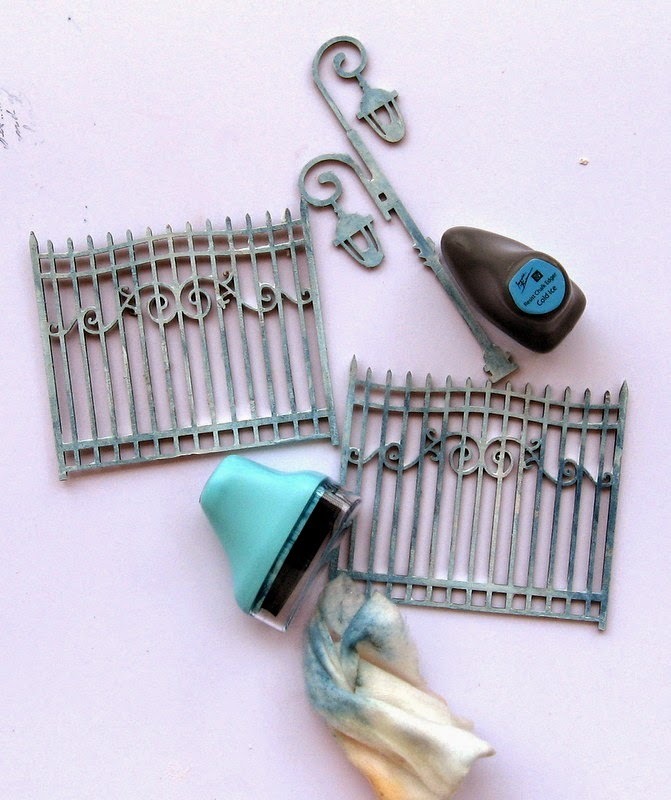 Colored the Gate and Lamp post chipboard with 'Turquoise Stone' and 'Cold Ice' CE. To spread the color evenly I used baby wipe. So...you can do so many things with Chalk edgers. 7. 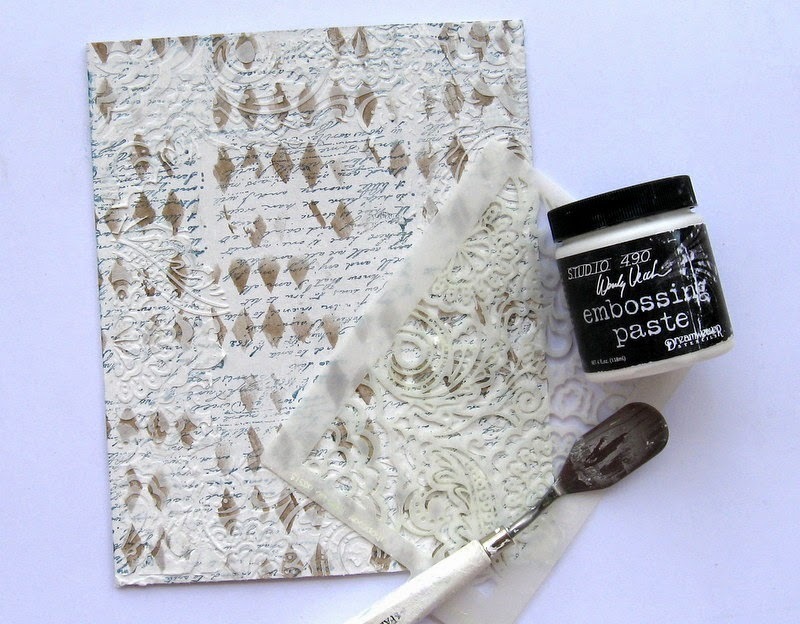 Use as embossing resist. 9. 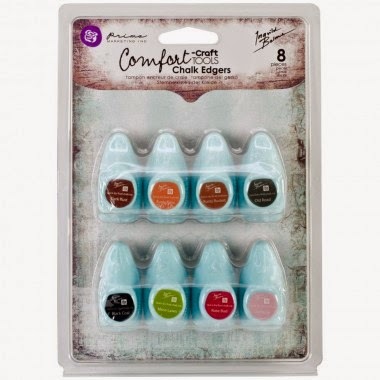 Mix them with embossing paste to get colored texture. And most important Chalk edgers are Ergonomic and Economical. It looks lovely Shilpa!!! 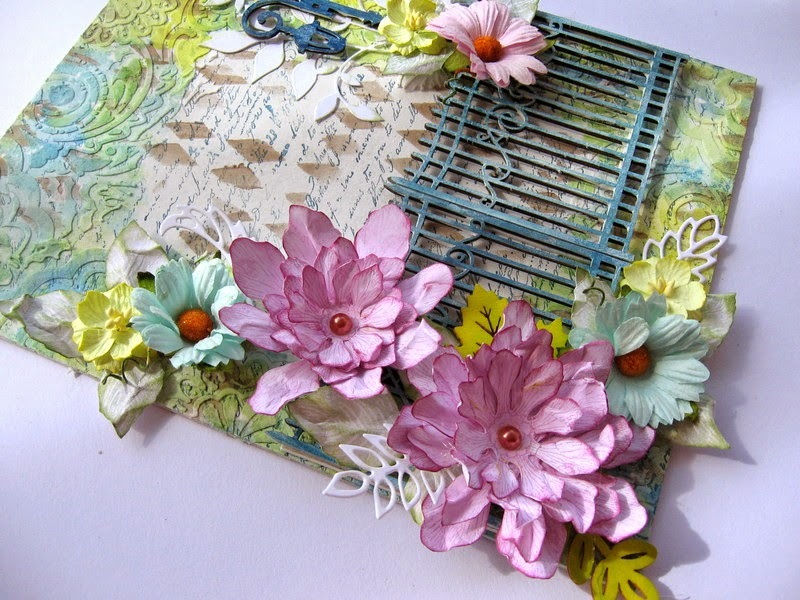 love the mixed media background, colors and blooms !!! Its Fabulous ! 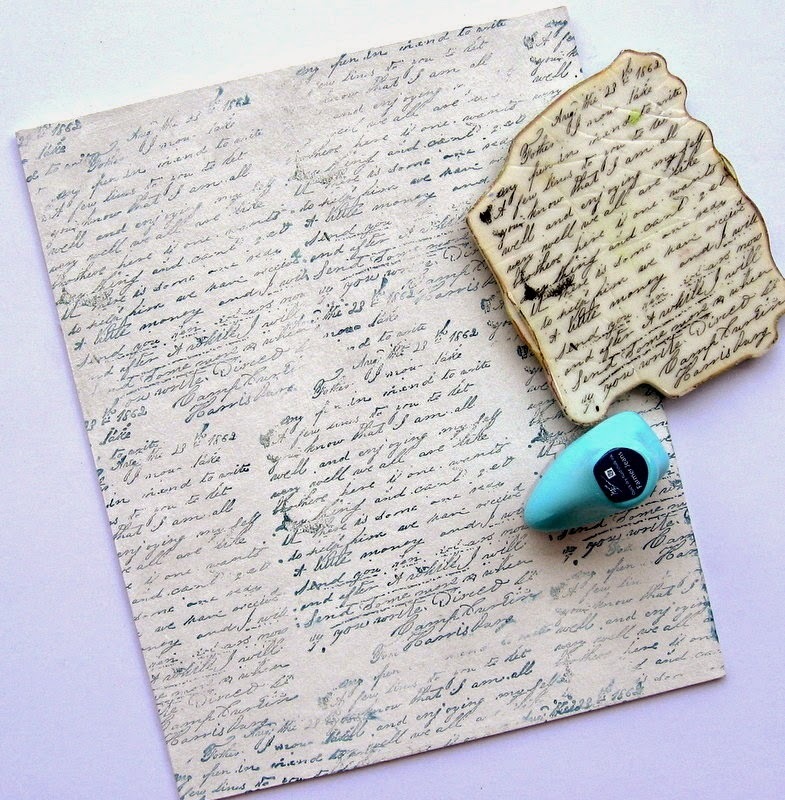 Thanks for sharing step by step process n Prima chalk edgers ! Lovely.Beautiful pastels and love the techniques you used.Thanks for the share. 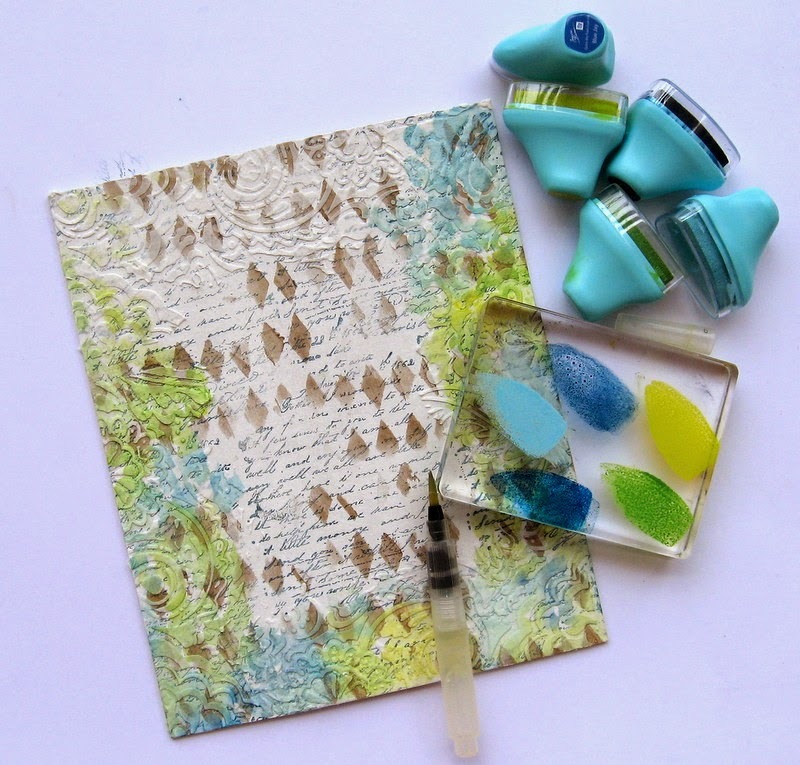 Beautiful project Shilpa and thanks for the tutorial too. It's a gorgeous canvas, Shilpa. 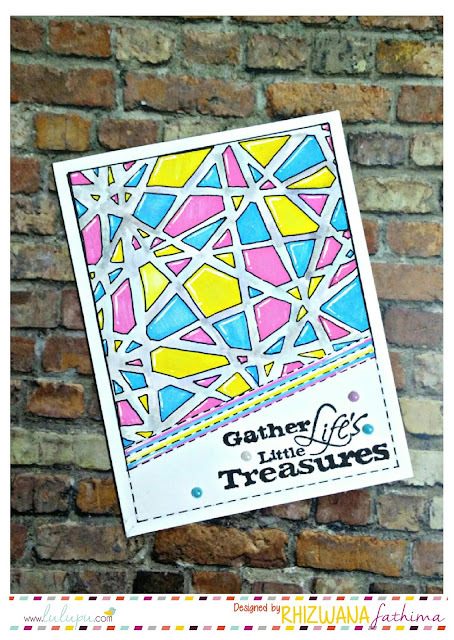 I love the way you have shown the use of the Prima Chalk edgers. It's a new to me product and definitely something which enhances our projects.